Find Keansburg Condos for Sale. The Keansburg condos for sale are mostly in one of eight established condo complexes. However, there are also numerous other Keansburg condos, usually in the upper floors of retail establishments, converted large homes or standalone buildings. Because FHA financing is not approved in any of the Keansburg condos, purchasing a home with an FHA loan is not possible However, qualified borrowers can find other mortgage programs which offer the ability to make a similar, low down payment. The Keansburg condos have between one and four bedrooms, while some of the homes have garages. In addition, some are waterfront properties. 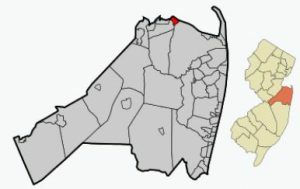 People are attracted to Keansburg because of the location. The town offers views of the Raritan Bay. The boardwalk and amusement park are a main attraction of Keansburg. Students in kindergarten through twelfth grade will attend the Keansburg School District. The Port Monmouth Road School serves students in Pre Kindergarten through second grade. The Joseph C. Caruso School serves Grades three and four. The Joseph R. Bolger Middle School educates students in grades five through eight. When a student enters high school they will attend Keansburg High School. Some of the other private schools in the area are St Benedict (K-8) and St John Vianney High School. Also nearby is Ranney School in Tinton Falls, a K-12 preparatory school and Christian Brothers Academy in Middletown.